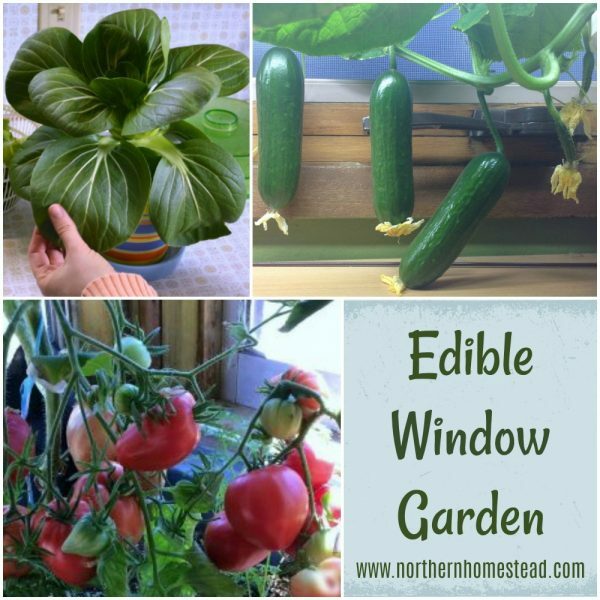 In this post we talk about growing an indoor edible window garden in soil. Good soil for a garden is very important. Success and failure in growing great plants depends mostly on the soil. 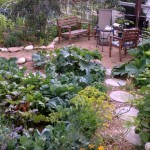 Great soil = great gardens! In our outdoor garden, growing in good organic soil is our very first choice. 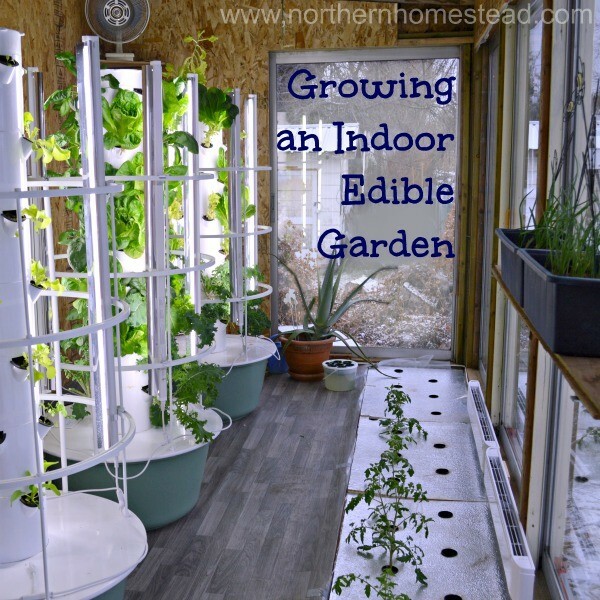 In an indoor garden, however, soil might not be our first choice. Why is that? Soil is a living organism. 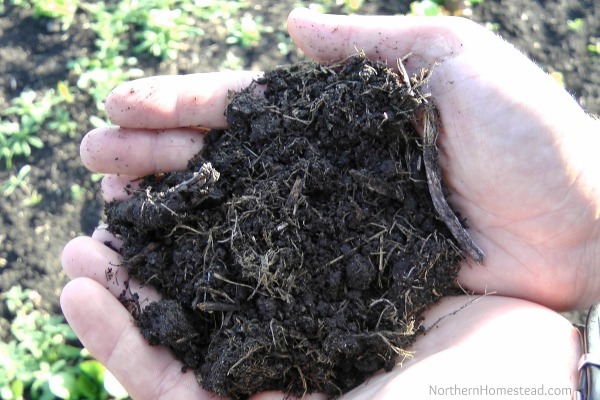 Bacteria, fungus and earthworms are essential for a good organic soil. What happens if you put something living into a tight container and take it indoors? It will die. First, however, most likely some of those living organisms will try to find a way out of your container and into your plants and house. 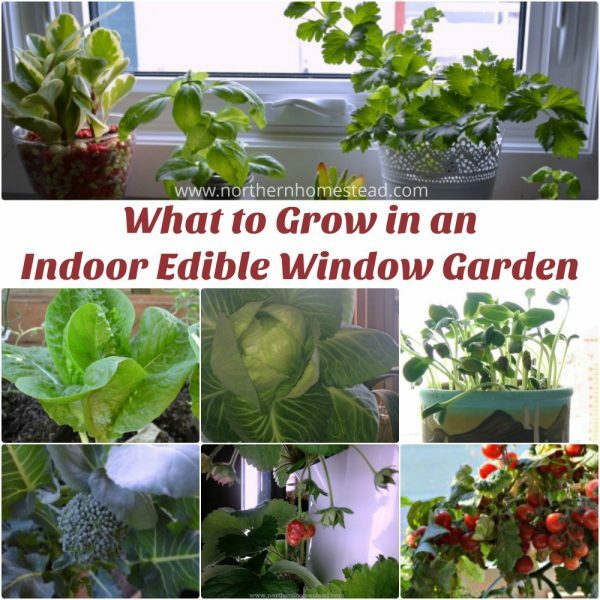 Still, you can be growing an indoor edible window garden in soil, it just will not be living organic soil. 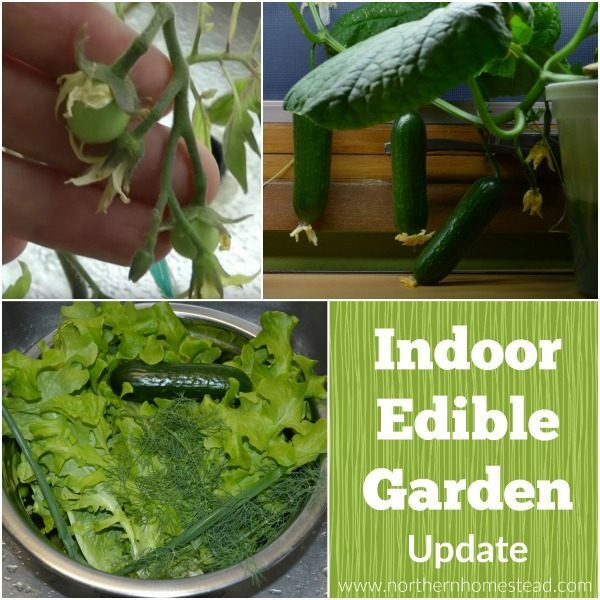 For that reason, and because it is so convenient we also grow edible plants indoors in hydroponics. We will talk about it in our next post. Today let’s see what soil to use for an indoor edible window garden. If you just want to grow a few plants, it is easiest to buy soil and compost from the store. For ready-made soil, we like the Sunshine mix potting soil, you can use advanced, or professional mix as well as all purpose. 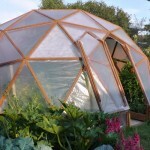 #4 is suitable for organic gardening. In Canada we order the Sunshine potting soil through a local Home & Hardware store. It is a great soil for anything and everything you want to grow in containers. 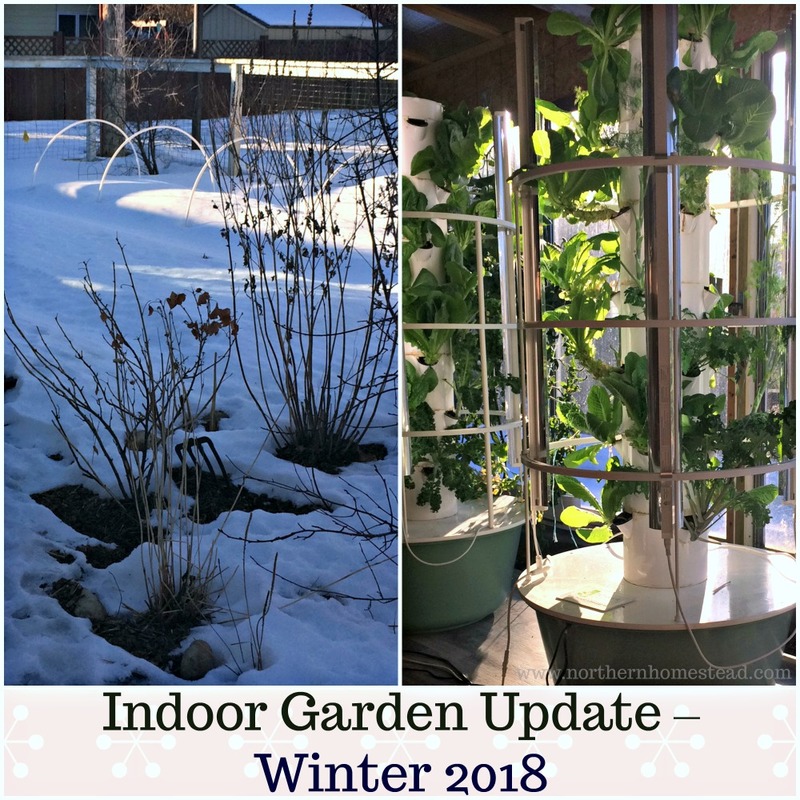 We use it for seed starting and some pots indoors. Another great way to get good soil for indoor growing is to make your own Mel’s Mix from the Square Foot Gardening book: 1/3 compost, 1/3 vermiculite, 1/3 peat moss. 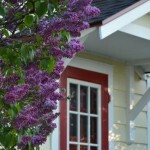 You can find all of these ingredients in a garden center or Home Depot. 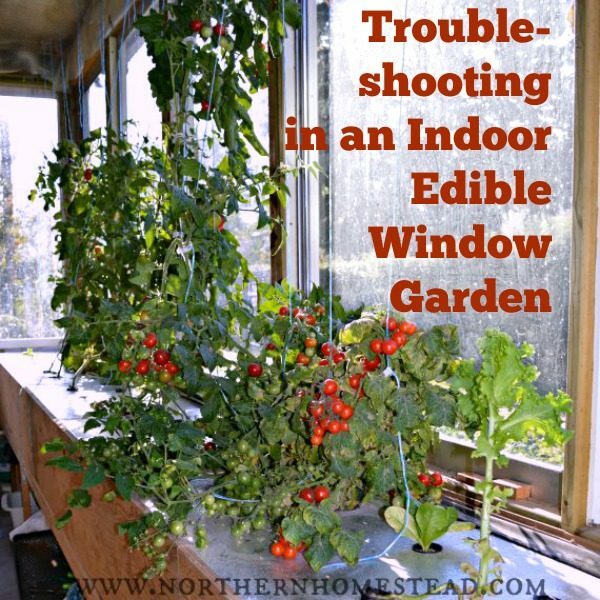 Just mix it all together and you will have great potting soil to use in your indoor edible window garden. 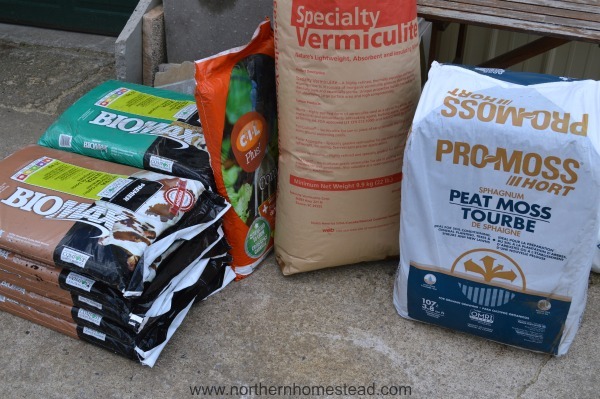 For heavy feeding plants that bear fruit, you want to add a good amount of compost or worm castings to the soil, so the plants have nutrients to feed on. 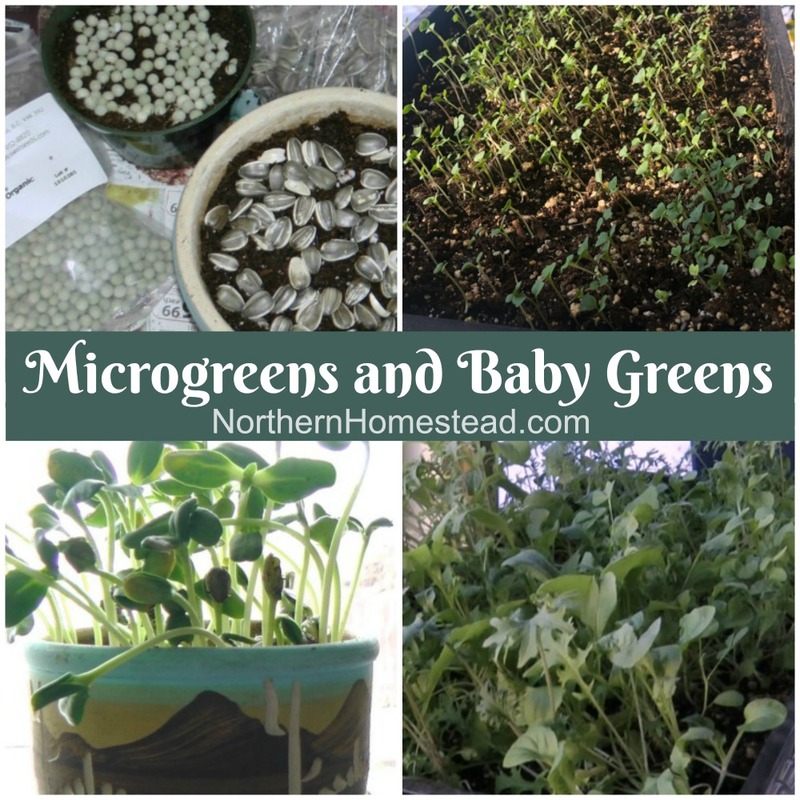 Salad greens and herbs are fine just with good potting soil. If you take outdoor soil or compost inside, make sure to disinfect it first. 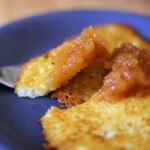 The easiest method is to bake the soil or compost in an oven at 180 – 200F for 30 minutes. You don’t want to burn the soil, just heat it up, so watch it and stir once in a while. 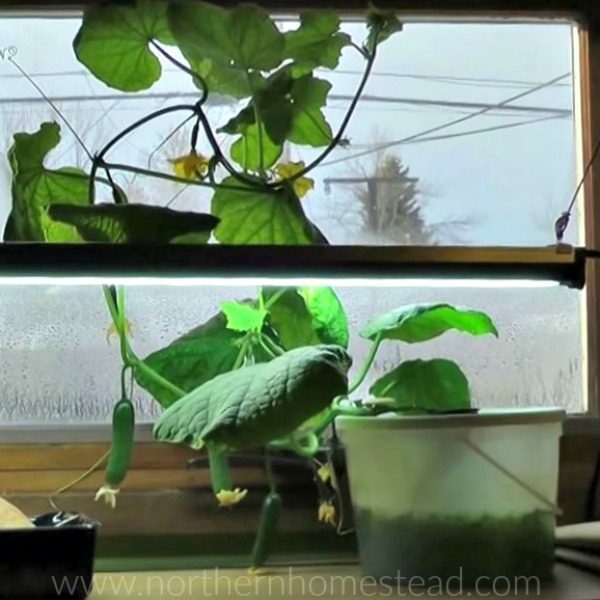 If organic is your highest priority for growing an indoor edible window garden in soil, you can make your own indoor vermicompost. 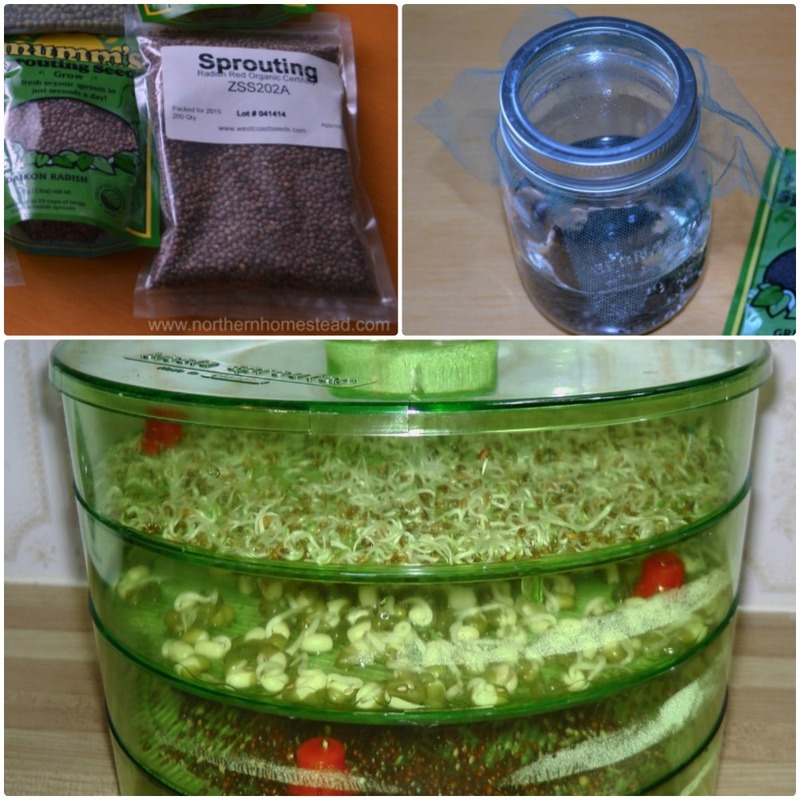 A great and inexpensive way to create your own organic soil. 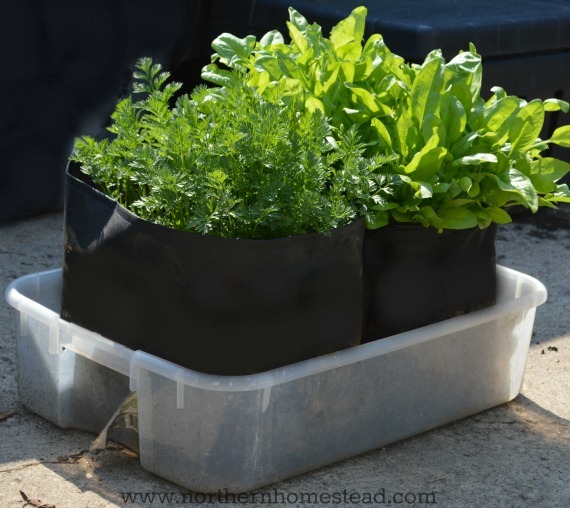 Plastic containers are the cheapest and most common containers to grow plants in. Those can be fancy containers that look good just as well as a pail or a simple ice cream bucket. It is important that your container has some holes in the bottom for drainage. Also it is helpful to use a container that is impermeable to light, so algae cannot grow. Clay pots are a good choice for plants that like to have dry feet. 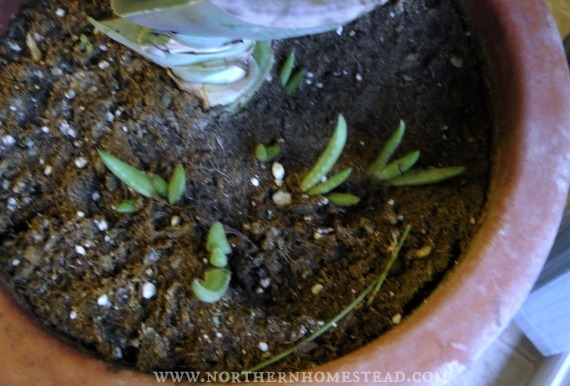 For example our Aloe Vera plant grows in a clay pot. 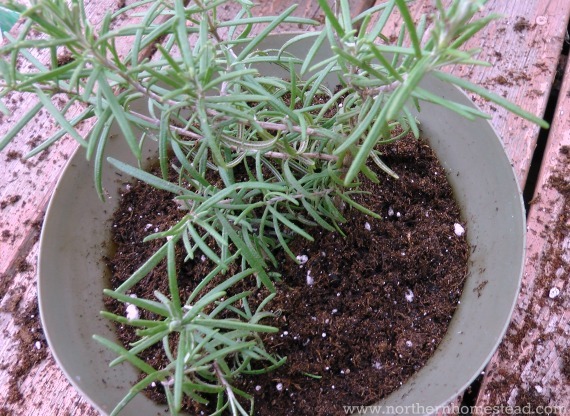 First of all, it is a perennial plant, and it also likes to dry out between waterings. Here a clay pot is the best choice. 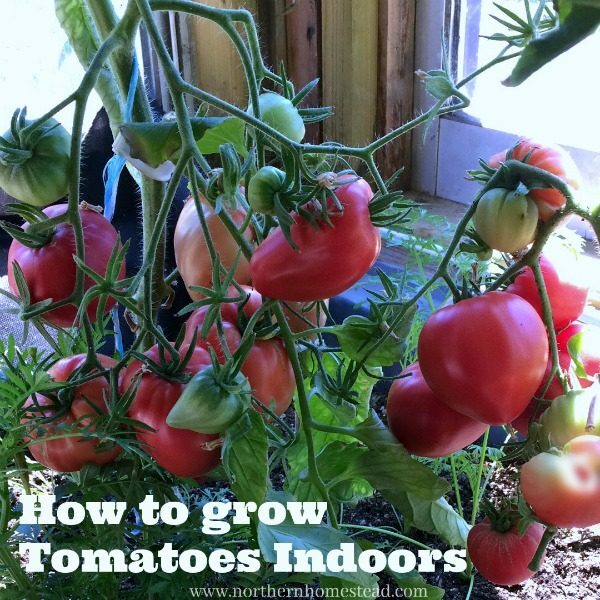 Clay can also be a good choice for tomatoes, but if the look isn’t as important we would recommend grow bags that work even better. 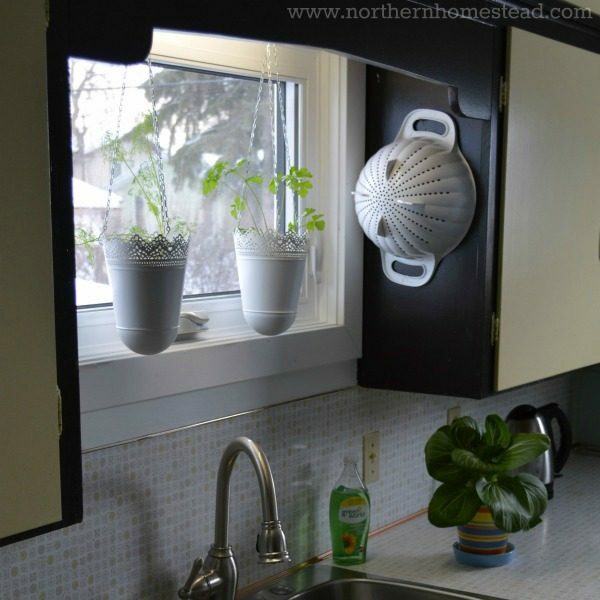 Hanging baskets of all kind are great for an edible window garden. 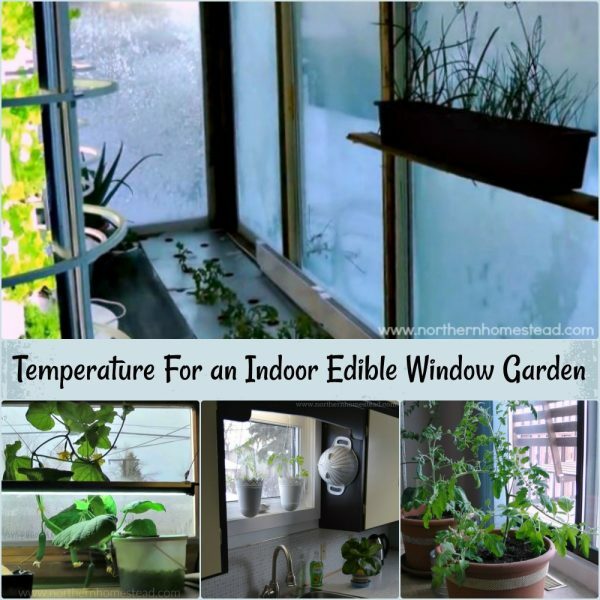 Hang into a bright, sunny window they look good and can hold some good sol and an edible plant. 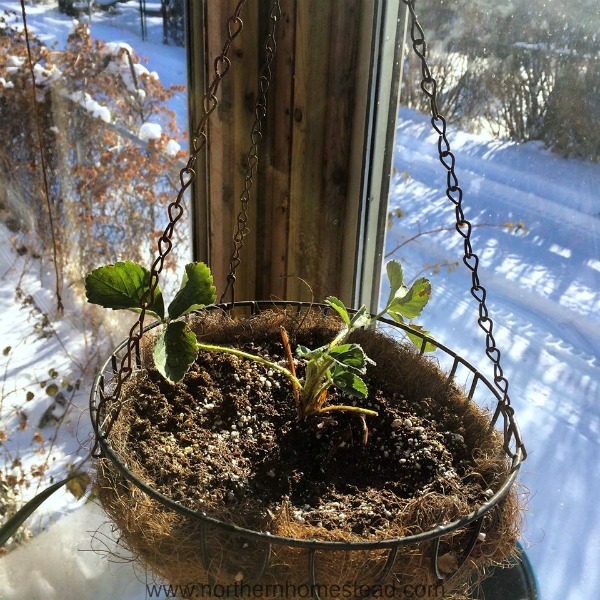 Strawberries are great for growing in hanging baskets. 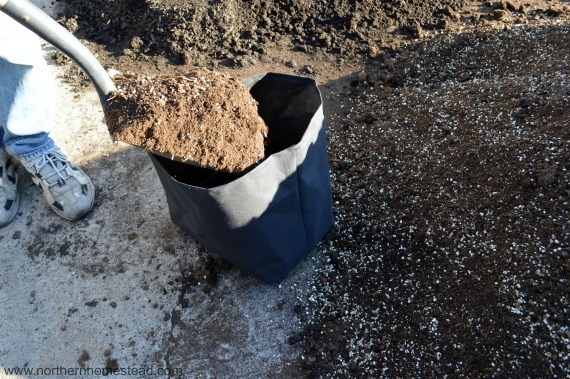 Grow bags are made of breathable fabric, which means superior drainage and aeration. 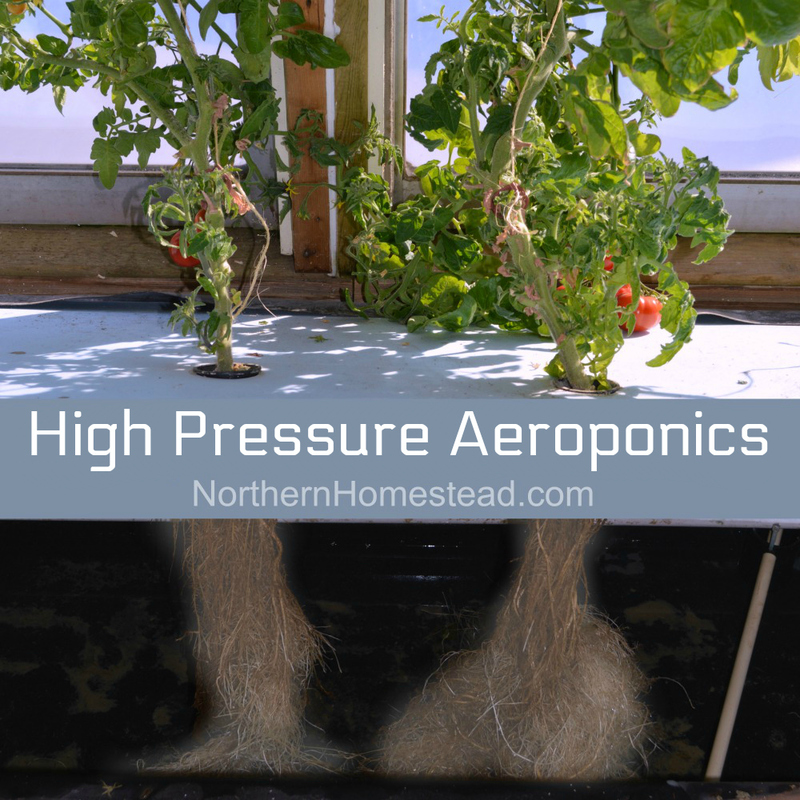 It is the aeration that makes grow bags superior to other garden containers. If a container has no aeration and the roots reach the walls of the container, they give a signal to the plant to make more roots, resulting in a root bound plant. Eventually the plant just kills itself with a mass of roots going round and round in the container. Root bounding will not happen in a grow bag. Here, if a root reaches the wall of the bag, it will be “burned” off, causing the plant to constantly produce new and healthy branching roots. This is also called air-pruning. You can get grow bags ready-made for you or you can make your own. 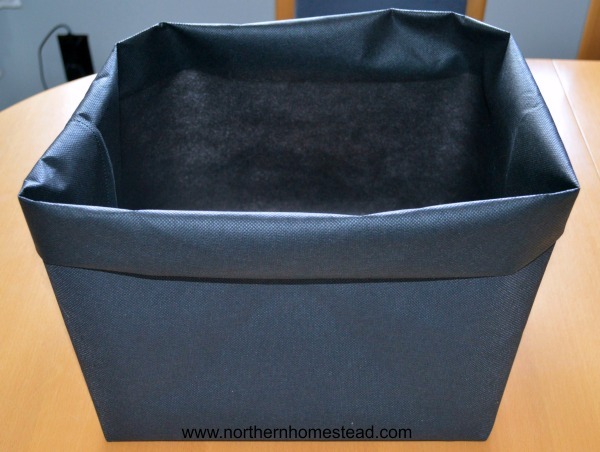 Here is a how to sew a grow bag tutorial. 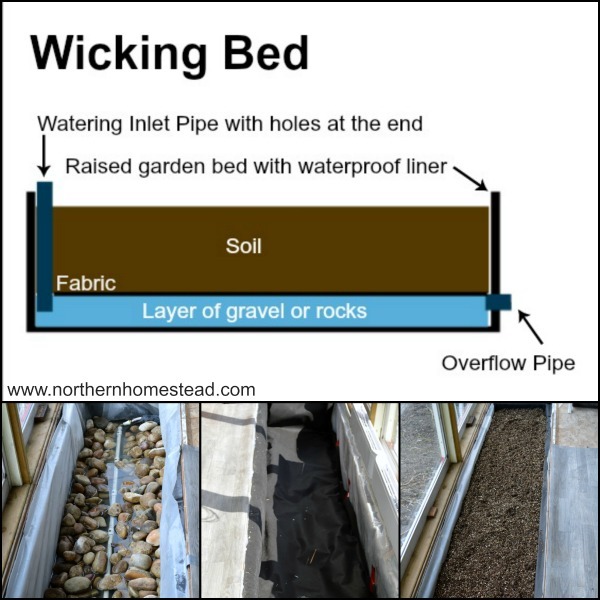 A wicking bed is a great solution for a self watering raised bed. Filled with good soil mix it waters the plants from the bottom up. 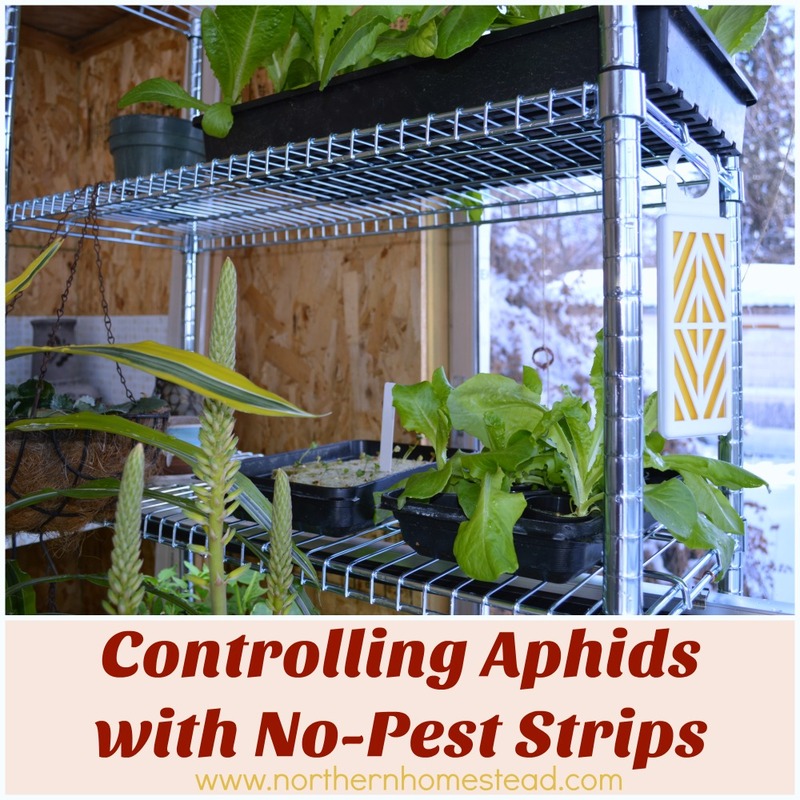 A wicking bed can be indoors or outdoors. 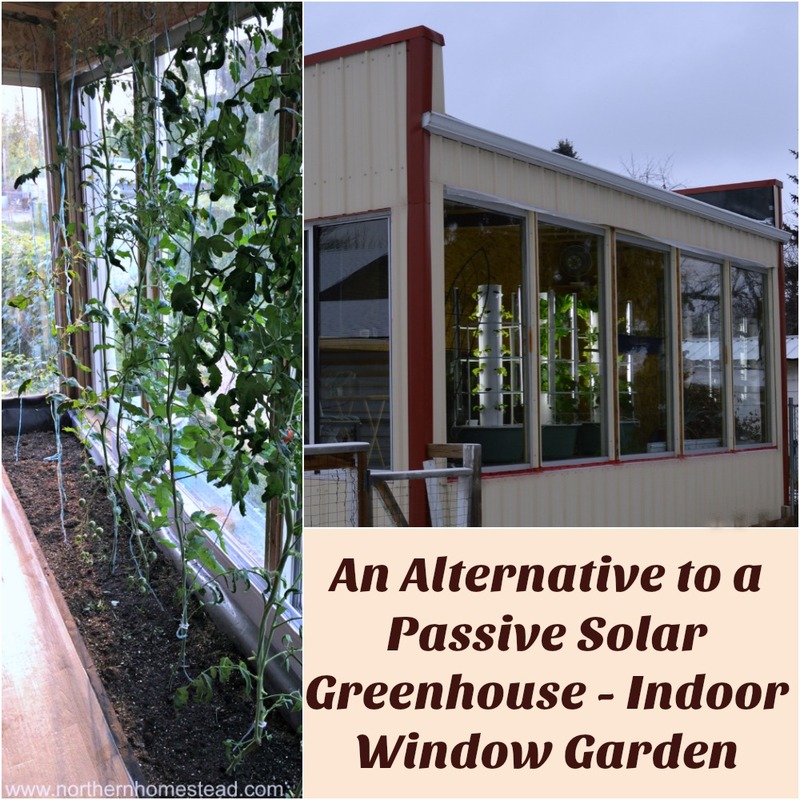 You can build it as small as a square foot (i.e. pail-in-pail system) or as big as you want it to be. 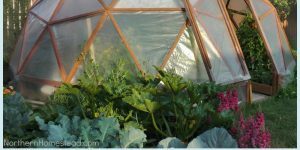 It has a waterproof lining that holds a reservoir of water at the bottom from which water is drawn upwards like a wick to the surface of the bed, through soil or roots of the plants in the bed. Wicking beds are great for container gardening. 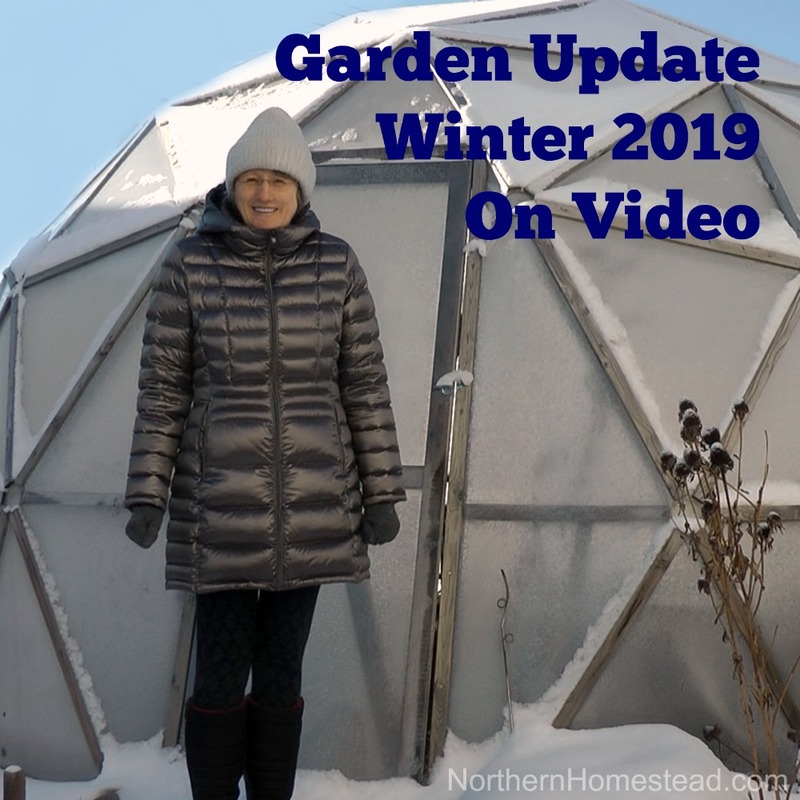 See how we build our indoor wicking bed here. Plants only need moisture not water. We water plants to give them moisture. You want to water plants thoroughly without drowning them. Allow the soil to dry between the waterings. Too much watering is way more dangerous than too little. 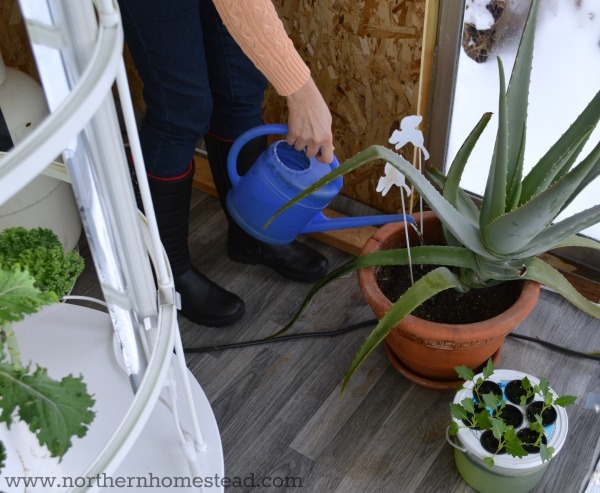 Watering is always a challenge in container gardening. Too much makes the plants sit in water, too little makes them dry out. It also depends on what the container is made of. A plant that grows well drinks well. Observe the plant and the soil. 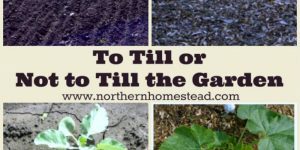 If one plant is moist and all others are dry, you know there is a growing problem. Do not water all the plants alike, water each as needed. Make sure to have a water reservoir for watering plants where water can warm up and the chlorine in it evaporate. In cool weather over watering is a bigger danger. In a very sunny warm window, a plant can dry out rather quickly. Grow bags dry out much faster than pots. 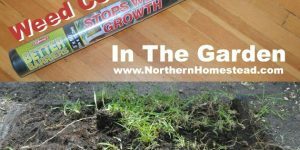 The drainage and aeration of the grow bag leads to more frequent watering needs. Also it is difficult to really soak a grow bag, as the water will come right out of the bag. Install a drip system, so the containers or grow bags get a constant moisture supply. We tried the bottle drip system. 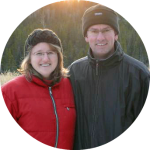 It did not do so well for us, even though many have great success with it. 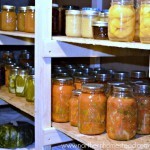 If you have many containers, a pipe drip system would work well, too. 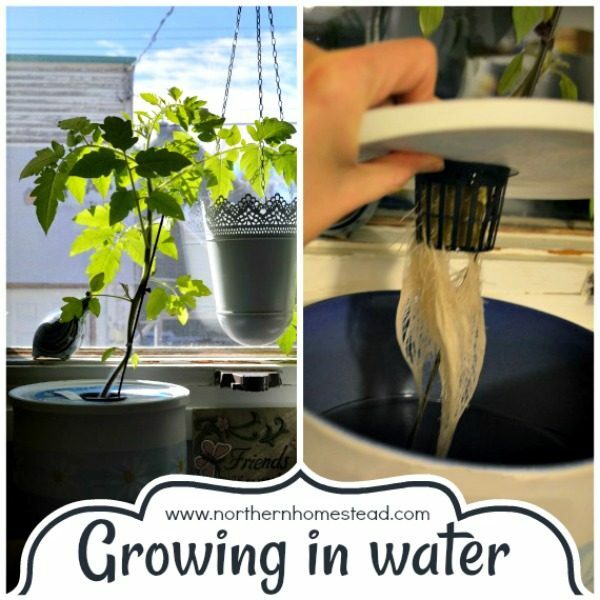 Build a self-watering wicking container. 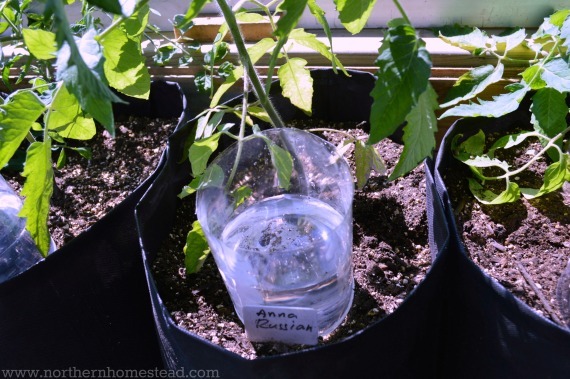 Have a container underneath the grow bag or container that you can be filled with water. Any container would work, you just don’t want the container to be too deep, you want most of the roots to be in air. Since containers do not contain much soil, heavy feeder plants need to be fertilized. Natural fertilizers that can be used are Bone Meal, worm castings, coffee grounds and compost tea. 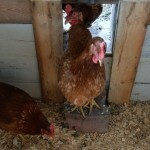 Also Epsom Salt and eggshells can help to add minerals. 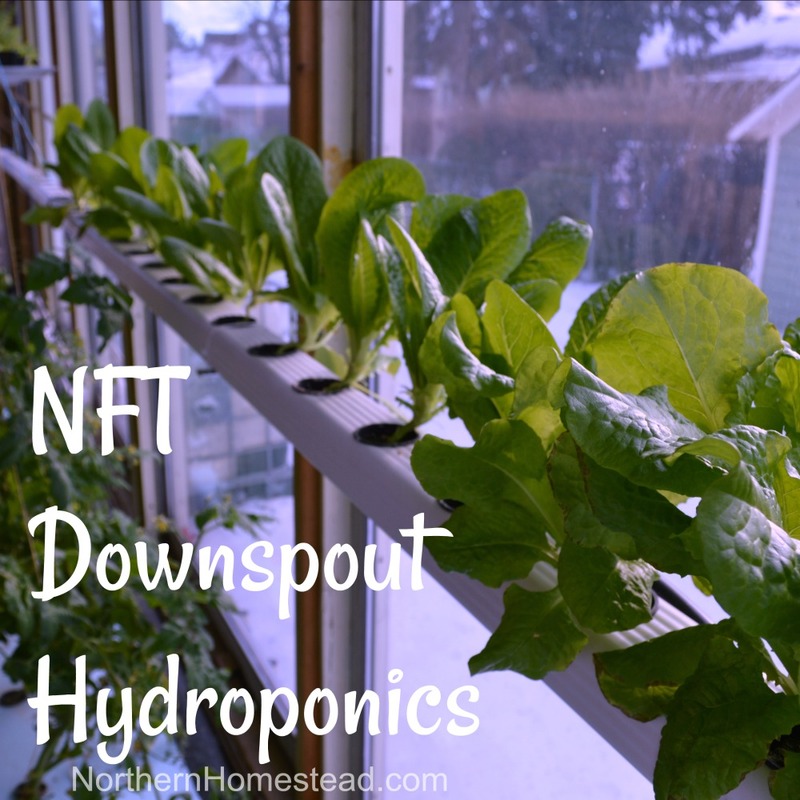 Since we also grow hydroponically, we often water our plants grown in soil with used hydroponic nutrient solution. 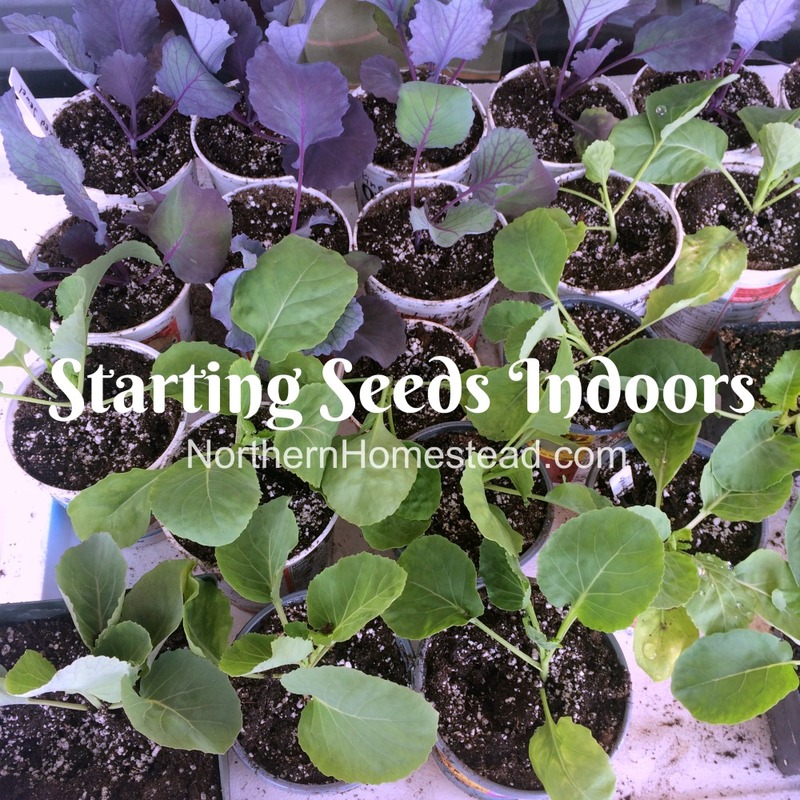 All plants that are grown in soil outdoors can also be grown in soil indoors. But root vegetables and perennial plants do better in soil than in any other growing medium. All annual above-ground plants can be grown hydroponically.